Fed up with the same old same old? Looking for a band that are fresh and quirky? The Watling Street Band are a trio of highly talented musicians from South East London who have taken their upbeat, energy fuelled mockney pop music to enthusiastic audiences everywhere from pub and club gig venues, weddings and birthday parties to festivals and ski resorts. Performing an eclectic mix of weird and wonderful covers From The Wurzels I've got a Brand New Combine Harvester to Paul Simons You Can Call Me Al via Rhiannas Umbrella in their own entertaining and interactive style, The Watling Street band are the perfect fit for quirky weddings or corporate events in need of an original twist. 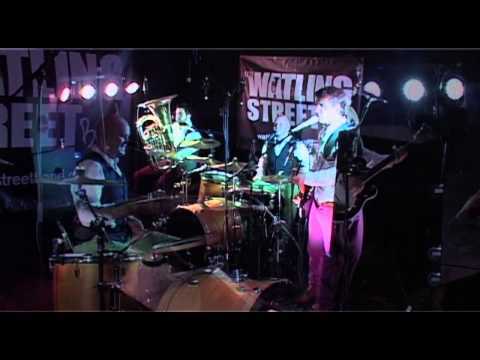 With their unique twist on well known covers and toe tapping originals The Watling Street Band are guaranteed to get any party started! This band counts Mayor of London Boris Johnson among their fans! Don't think it works? Listen to these geezers in action. Sorry, The Watling Street Band doesn't have any photos right now Send us an enquiry and we'll get back to you, or check out the rest of the act profile. ?Love it ? crazy wonderful. Harmony kings!? George Stiles, Composer of shows: Mary Poppins, Soho Cinders, Betty Blue Eyes, Honk.